"It was evident that they are teachers of food safety." A consumer’s perspective on food inspectors is informed with limited food safety knowledge. As a consumer with a background in public health, I am embarking on a career with the Centers for Disease Control and Protection while assigned to work at the National Environmental Health Association. I am working with Dr. Harlan Stueven, executive director and founder of Dining Safety Alliance. NEHA is partnering with Dining Safety Alliance to study the variance in restaurant inspection scores and their relationship to inspection frequency. To better understand the impact and need for restaurant inspections, I took advantage of the opportunity to ride along with food inspectors to have a glimpse into the work they’re doing. Food Inspectors are tasked with a difficult job: ensuring the public’s safety by conducting routine food inspections at restaurants. This is the “boots on the ground” part of what environmental health professionals do. I had the unique opportunity to shadow 5 different food inspectors, across 4 different jurisdictions. As an observer during each ride along I was able to gain insight into the challenging task of being a food inspector. I will provide unsolicited commentary from the time of entering the restaurant to communicating violations to the operators. There’s an inaudible level of fear when inspectors enter the restaurant. The workers seem to scramble for the manager on duty and, will sometimes cease handling food. Inspectors are expected to conduct a certain number of inspections within the typical work day, including writing a detailed report for each visit. Depending on the time of day, the violations cited vary widely. I went to inspections at various times: before, during and after the lunch rush. The inspections I participated in took between three to four hours to complete. The number of violations cited impacts the amount of time it takes to complete an inspection. Inspections conducted when food is being prepared versus when food is being served, will present different types of violations. The challenge with this is that inspections are a snapshot in time. Inspectors have the challenge of trying to get a full scope of the restaurant’s potential hazards to health, yet they are only presented what is in front of them at that time. While on an inspection I saw a chef at a Vietnamese restaurant preparing sushi for the lunch crowd. He cut an unwashed avocado and forgot to remove the sticker. The chef was in violation of the food code because contaminants could have been present on the sticker that he cut through and he hadn’t washed the avocado. The inspector knew that if they weren’t present at that moment, the violation wouldn’t have been reported. In addition, communicating this violation to the employee proved to be a difficult task due to language barriers. I spent an average of three and one half hours with each inspector. Within that time, it was evident that they are teachers of food safety. They are the silent heroes. They are passionate about educating food service employees, culturally competent, and undoubtedly knowledgeable about the jurisdictions they serve. Local health departments face a variety of challenges: lack of resources, limited time, language barriers, and having more restaurants to inspect than inspectors. I was impressed, to say the least. 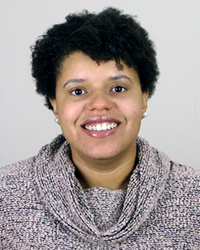 Kaylan Celestin is NEHA's new Public Health Associate from the Centers for Disease Control and Prevention (CDC). Kaylan is a Project Specialist in NEHA's Program & Partnership Development department. She is working with NEHA's partner, Dr. Harlan Stueven, Executive Director and founder of Dining Safety Alliance to study the variance in restaurant inspection scores across jurisdictions.